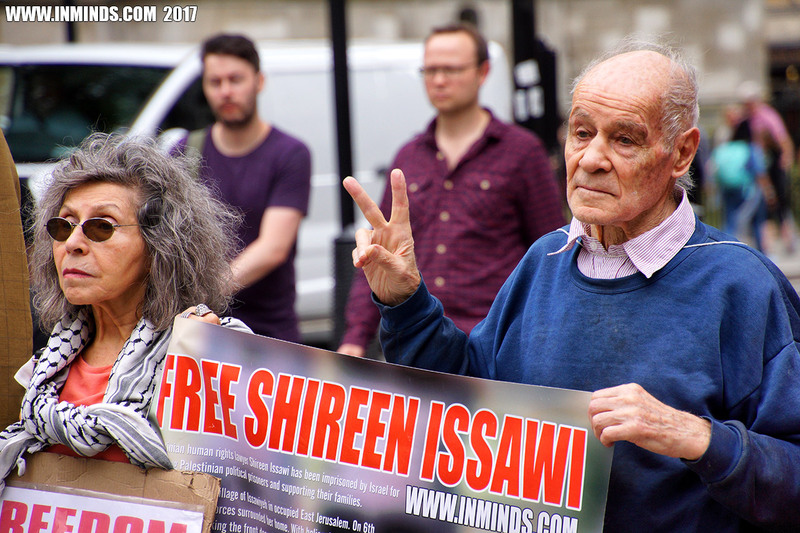 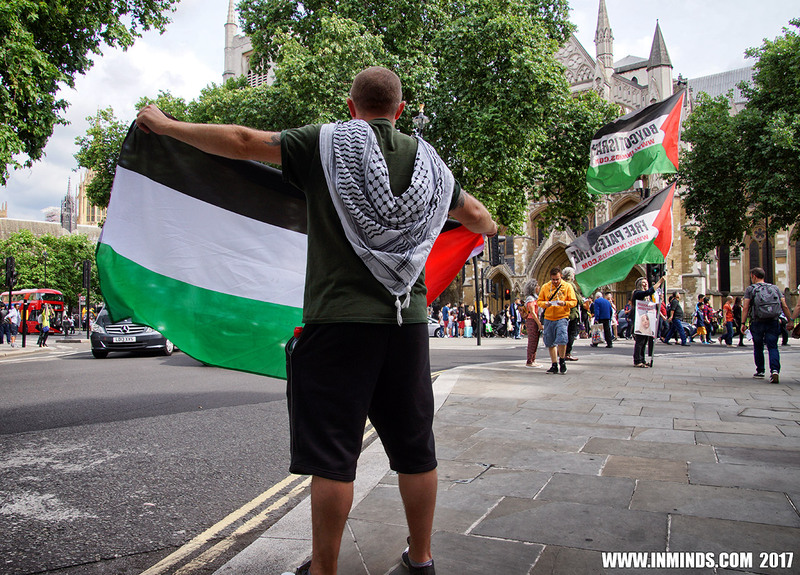 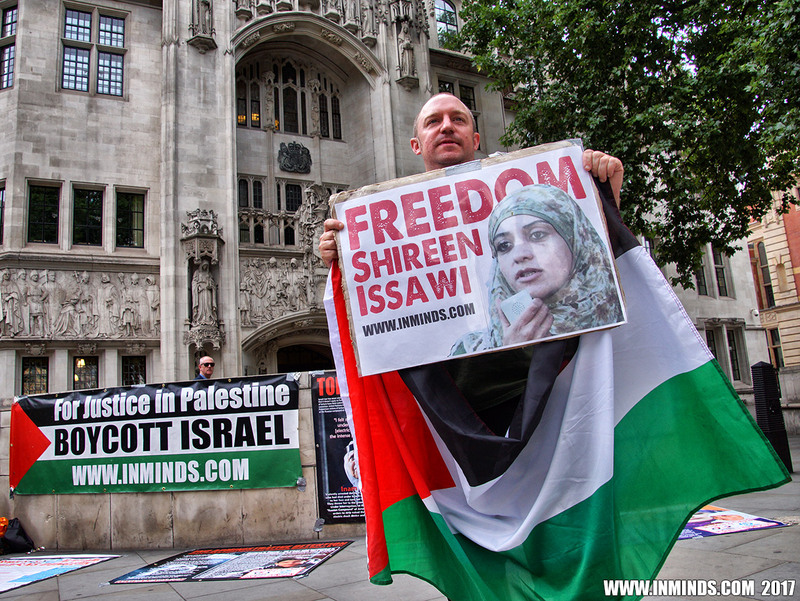 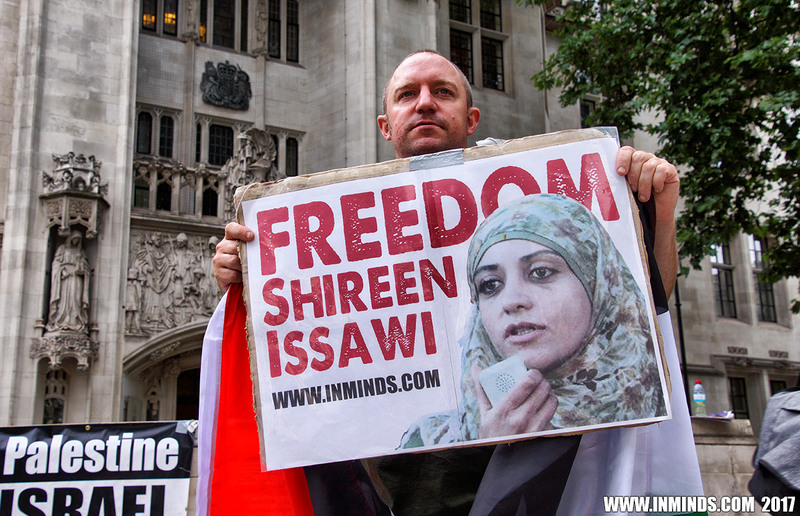 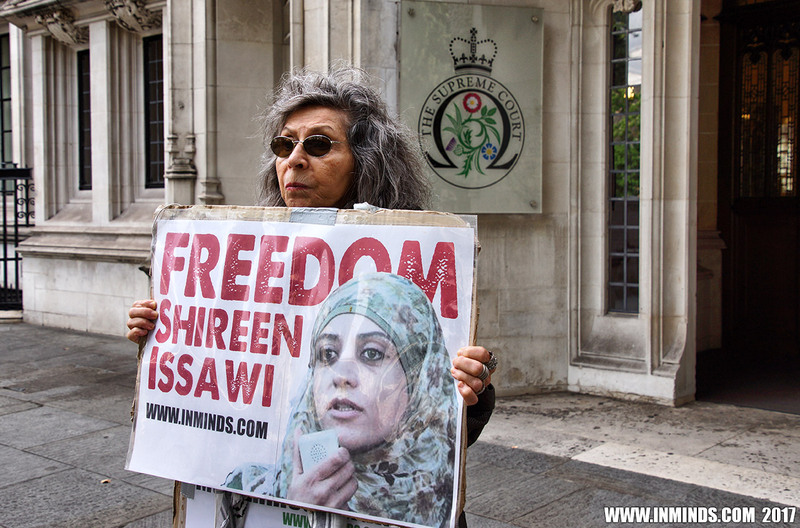 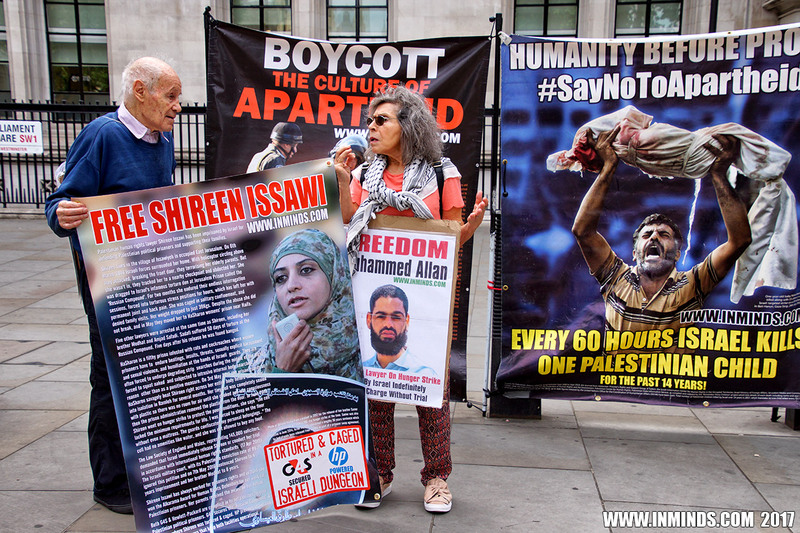 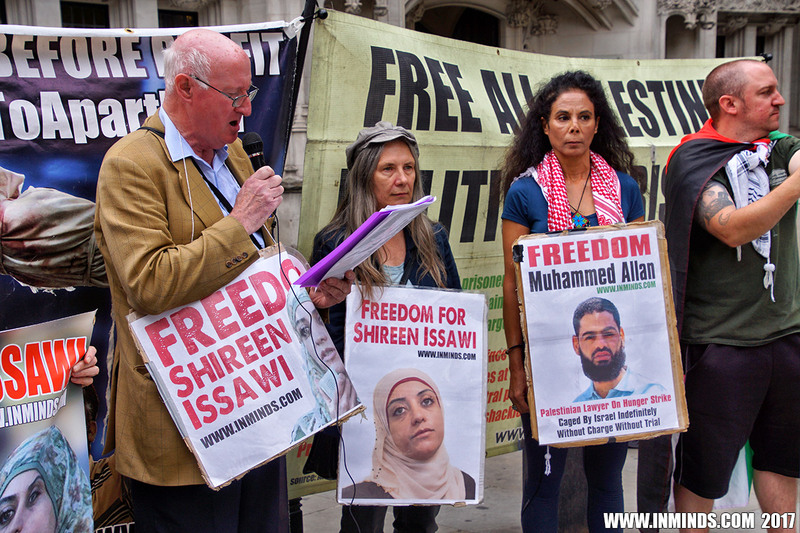 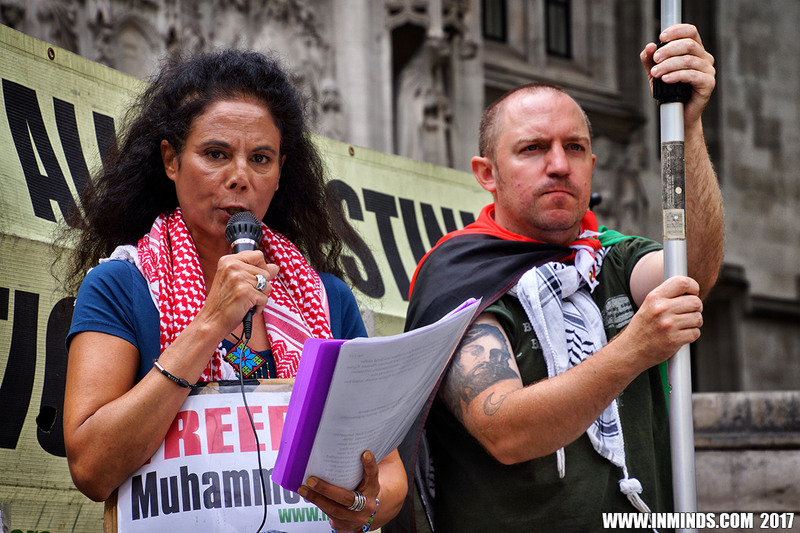 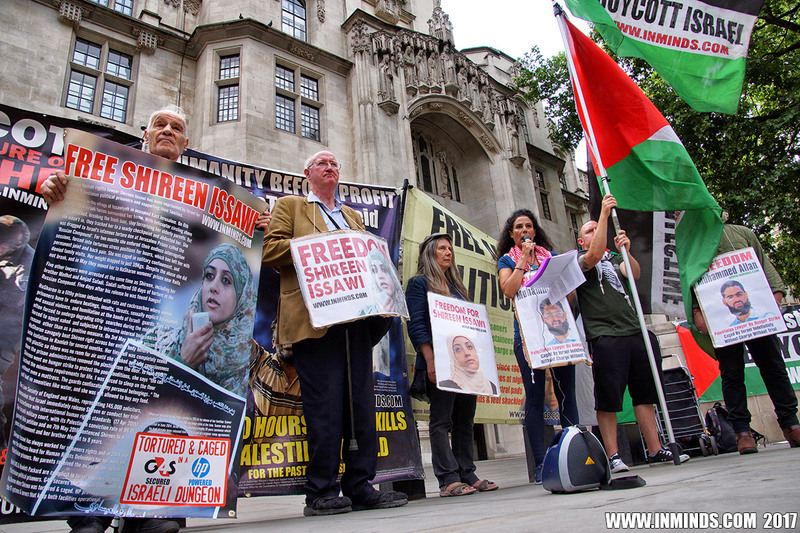 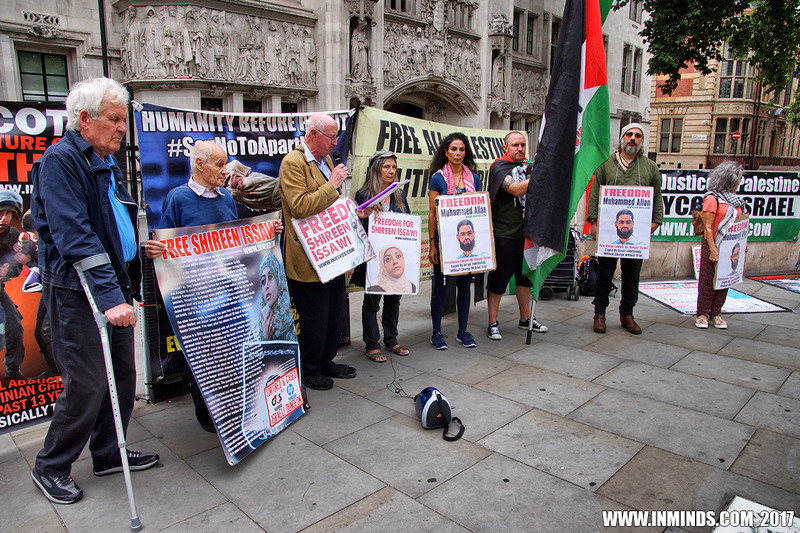 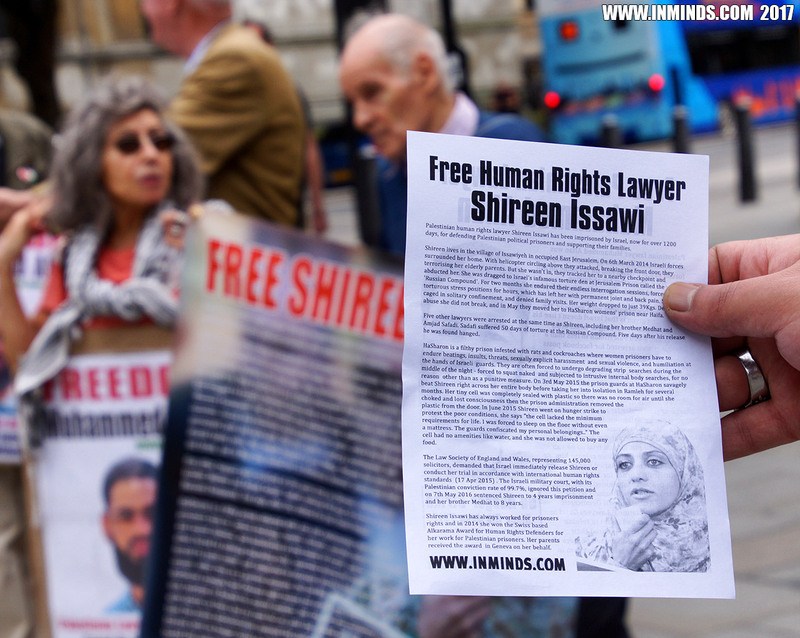 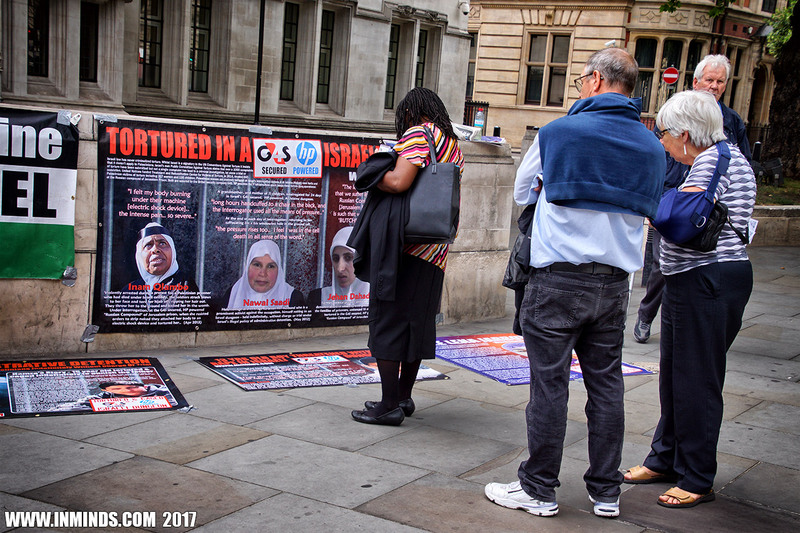 On Friday 30th June 2017, Inminds humans rights group held a vigil outside the Supreme Court of the United Kingdom to demand freedom for Palestinian lawyers targetted by the Israeli occupation, in particular freedom for hunger striking Palestinian lawyer Muhammed Allan who is on day 24 of his hunger strike, and Human Rights lawyer Shireen Issawi who has been caged for over 1200 days. 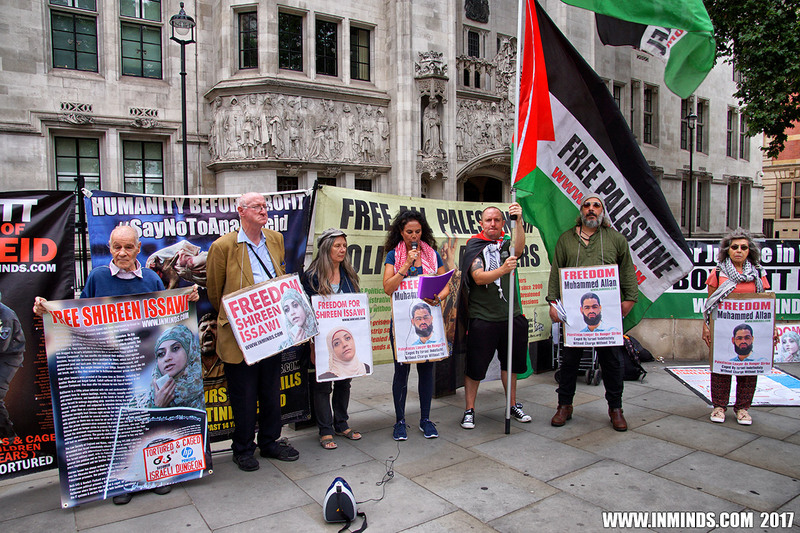 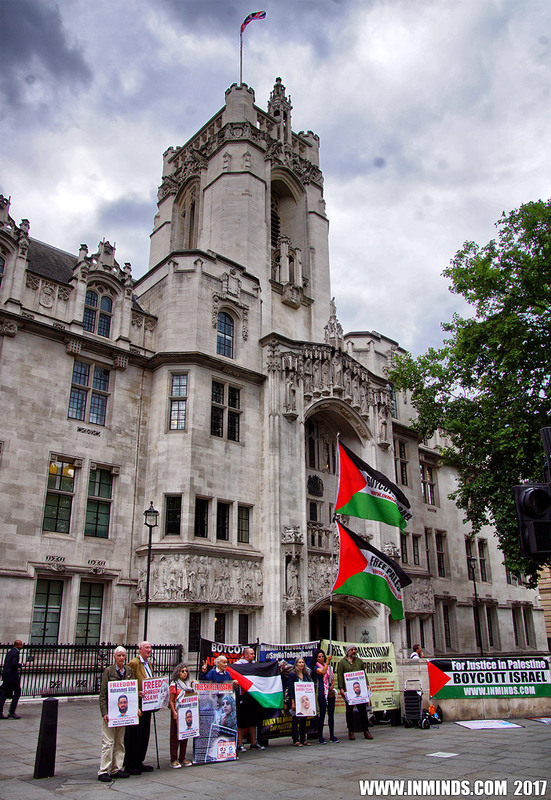 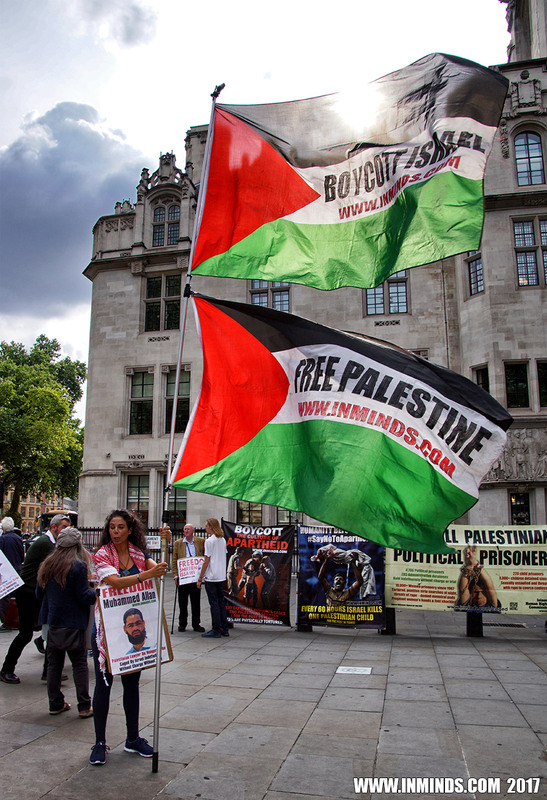 Inminds chair Abbas Ali said "We are symbolically holding this vigil outside the highest court in the land to focus on the plight of Palestinian lawyers in Israeli dungeons. 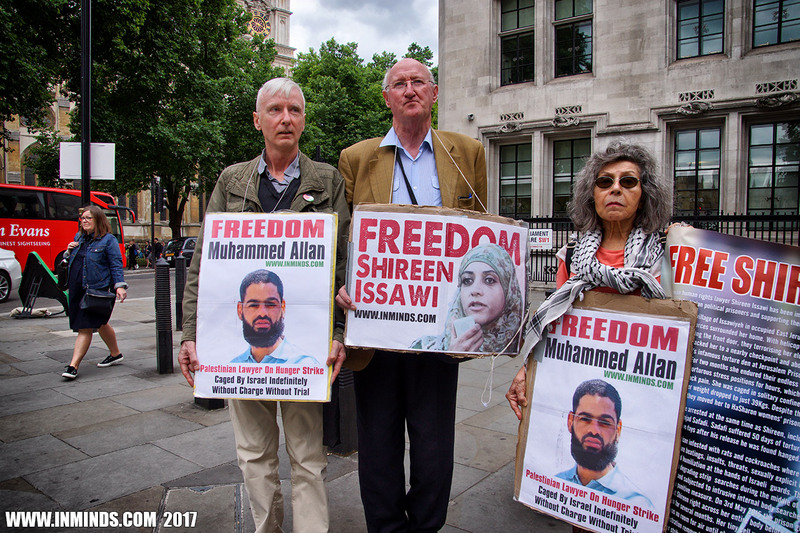 Israel cannot justify abducting Muhammed Allan so they are pointing to his facebook posts as a catch all reason to cage any Palestinian who disagrees with the occupation of his land. 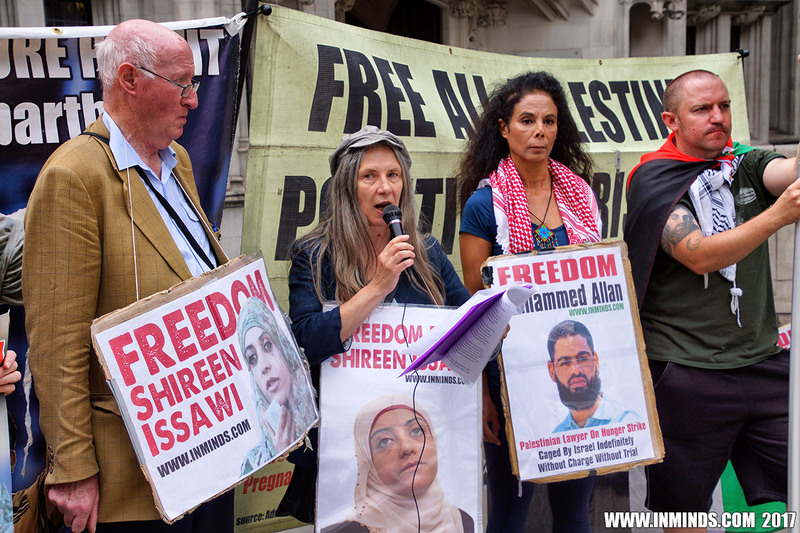 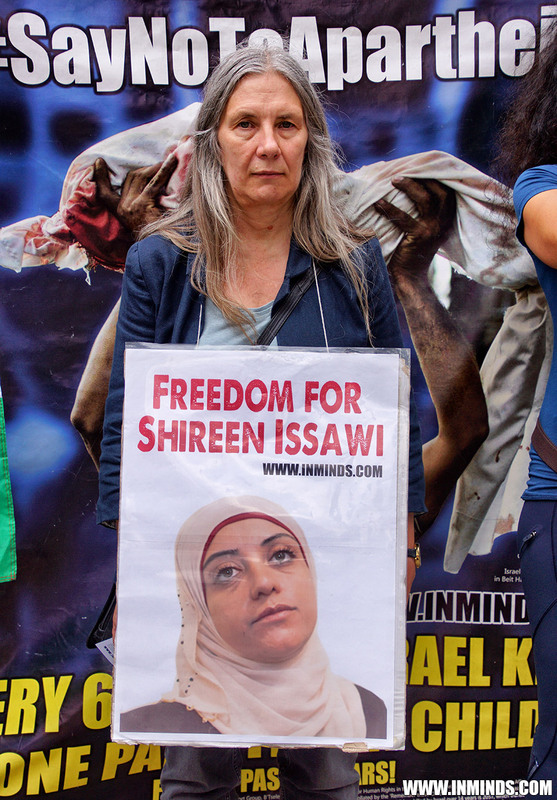 And Shireen Issawi and her brothers are caged simply for doing their job as human rights lawyers providing a legal defence for fellow Palestinians incarcerated by the illegal occupation. 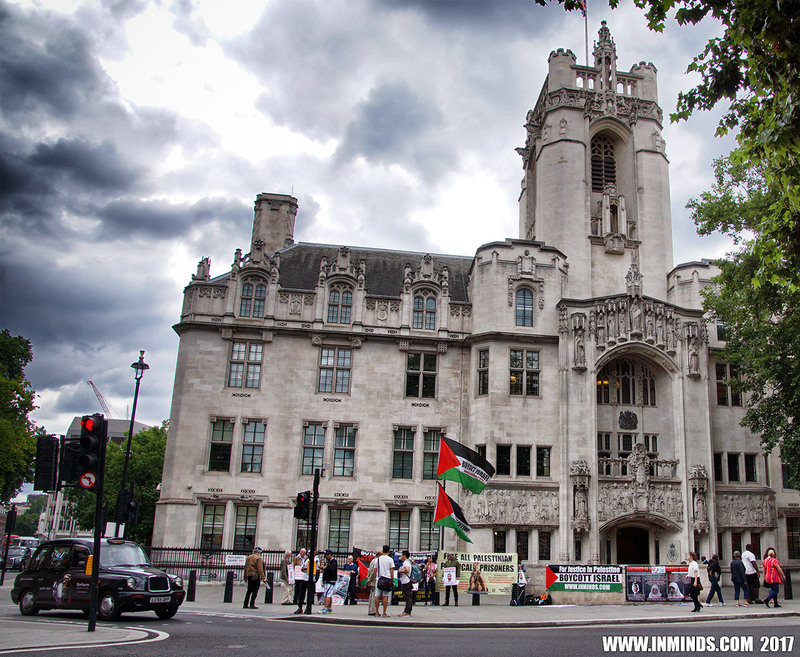 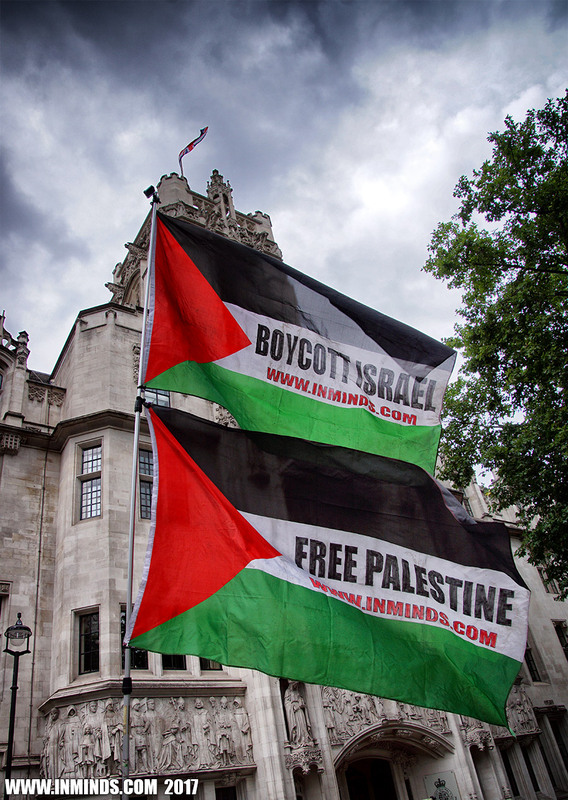 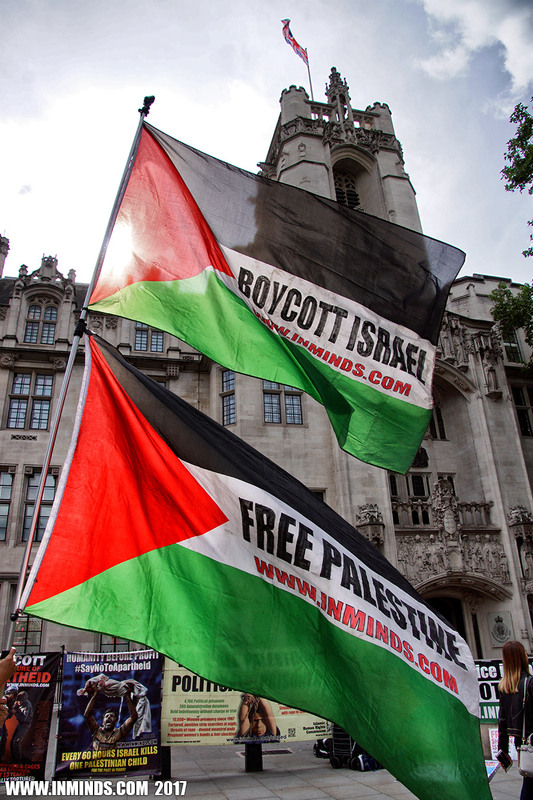 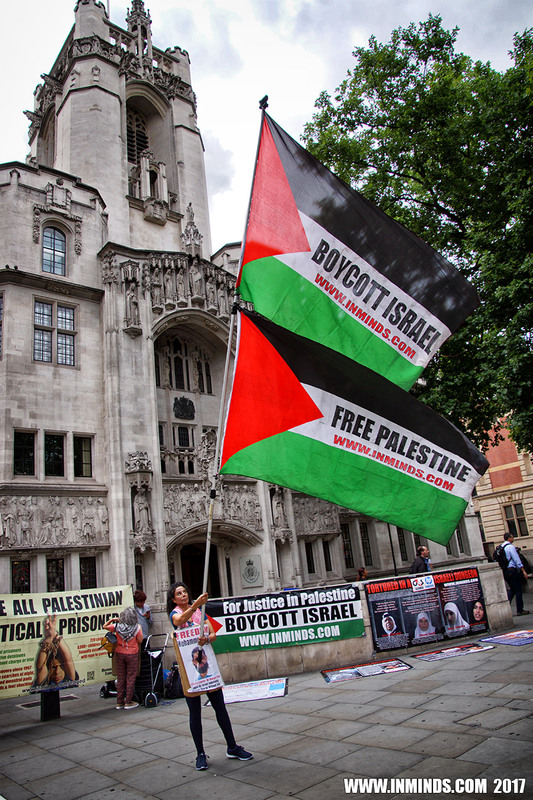 It is about time the legal profession recognised Israel as a pariah state that has total contempt for the law, and to treat it as such!" 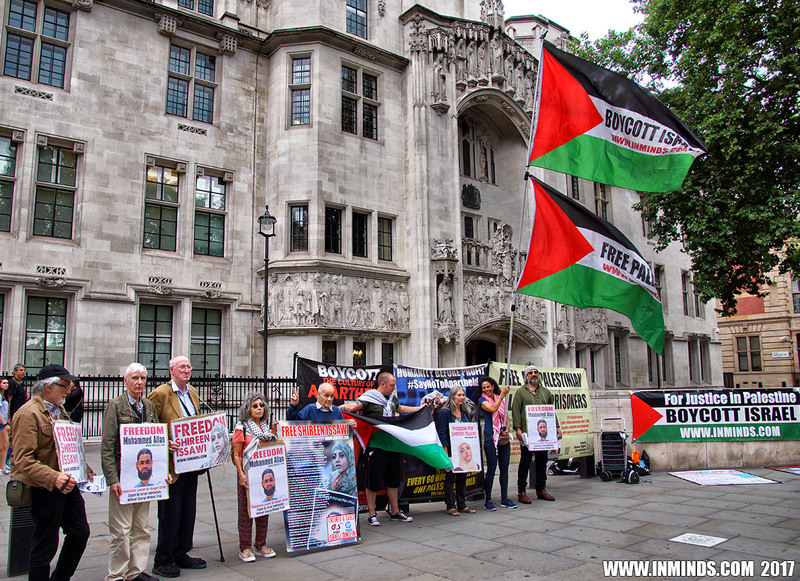 33 years old Palestinian lawyer Muhammed Allan was abducted by the Israeli army from him home in the village of Einnabus, near Nablus on the West Bank, in a pre-dawn raid on 8th June 2017. 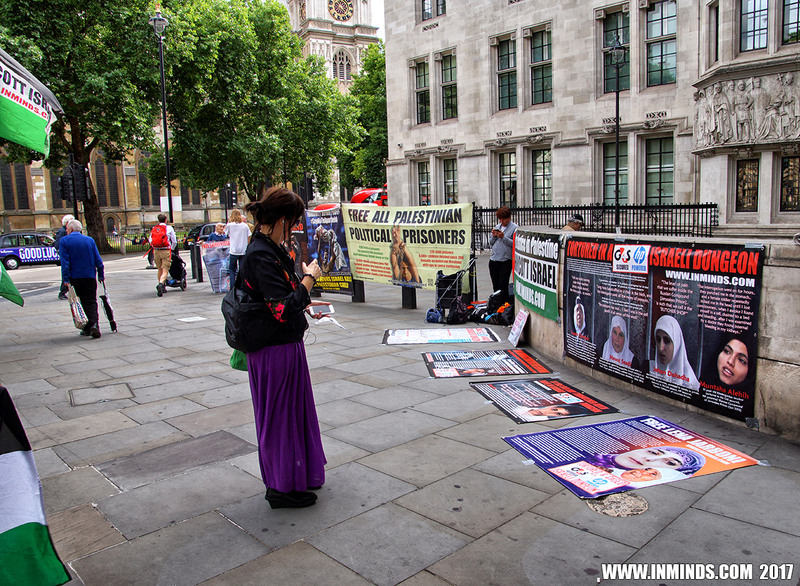 To protest is imprisonment he has been on hunger strike since then, Friday being his 23rd day without food. 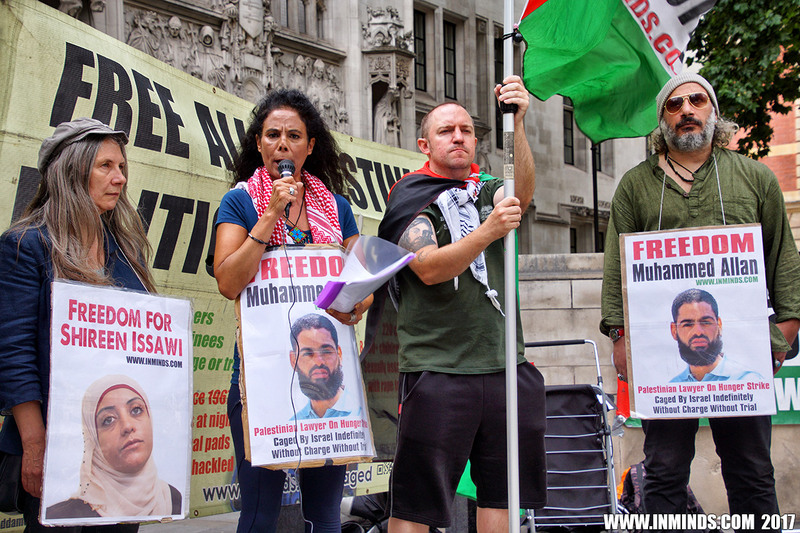 He is being held without charge or trial. 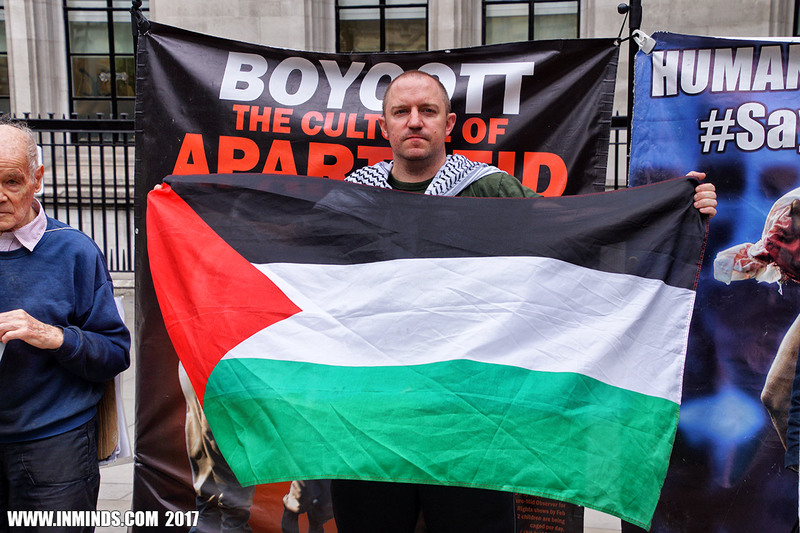 The only reason given by the occupation as to his abduction is that they don't like his facebook posts. 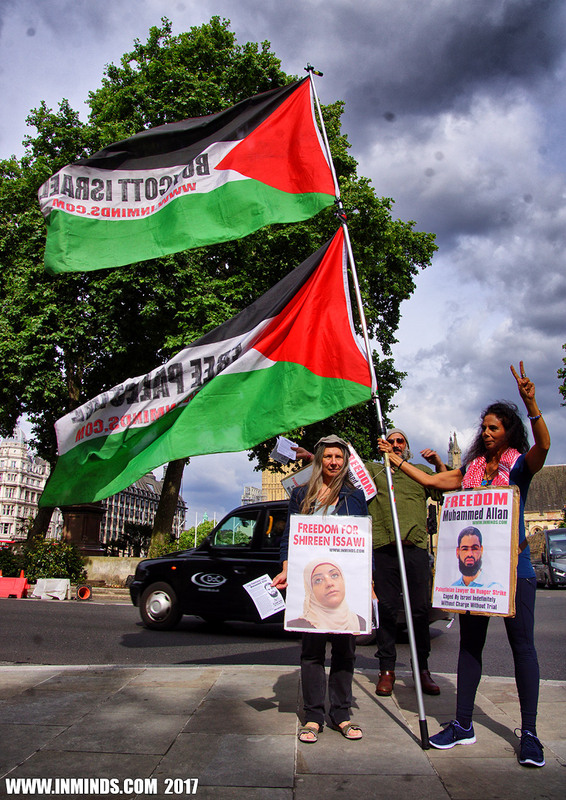 According to figures released by the Israel army and security service Shin Bet, in less than a year, the Israeli occupation forces and Shin Bet have arrested more than 400 Palestinians for facebook posts critical of the occupation, and the names of another 400 were passed to the PA for arrest as part of the policy of security coordination between the PA and Israel. 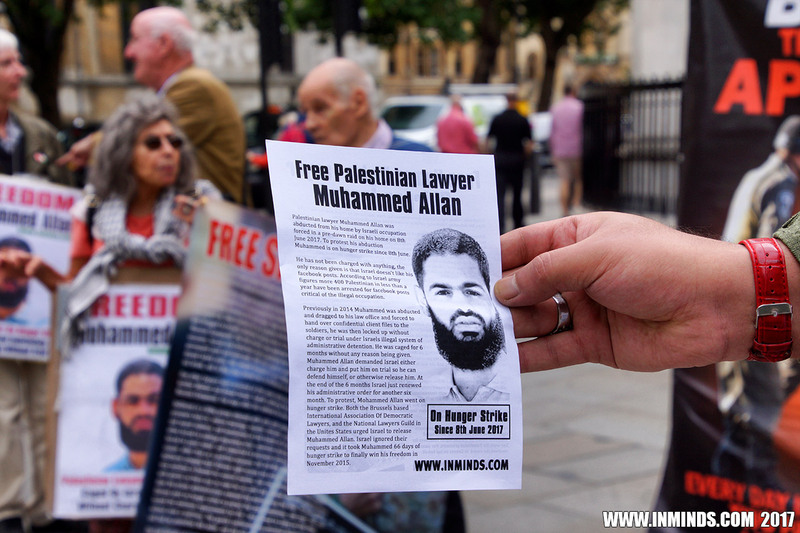 Previously, in 2014, Muhammed Allan was abducted by the occupation forces, dragged to his law office and forced to hand over all his confidential client files to the occupation in disregard of attorney-client privilege laws, and then he was locked up without charge or trial under Israels illegal system of administrative detention. 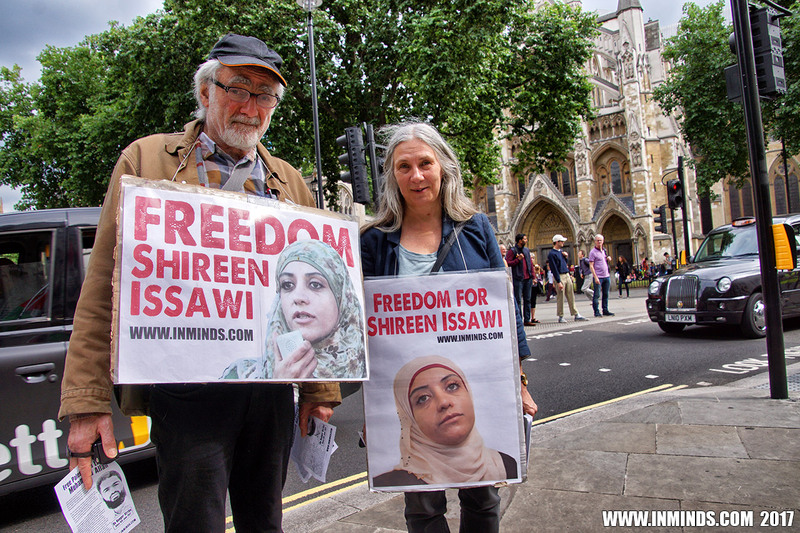 He was caged for 6 months without any reason being given. 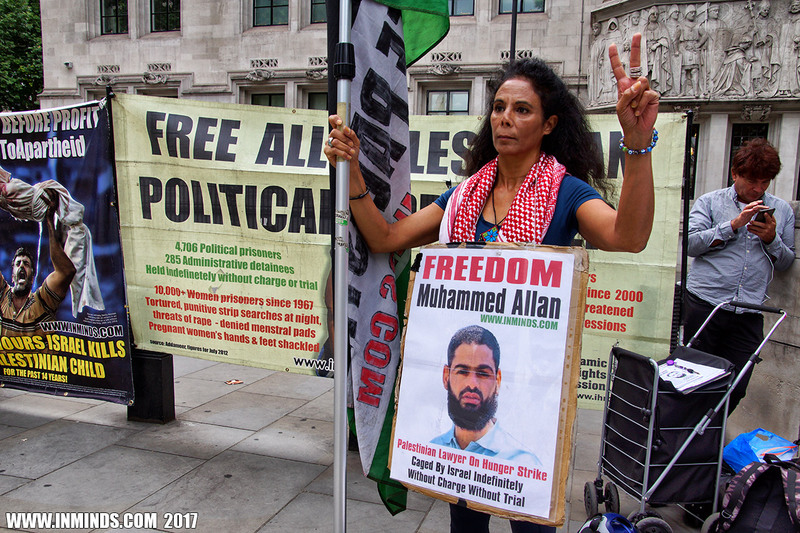 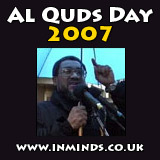 Muhammed Allan demanded Israel either charge him and put him on trial so he can defend himself, or otherwise release him. 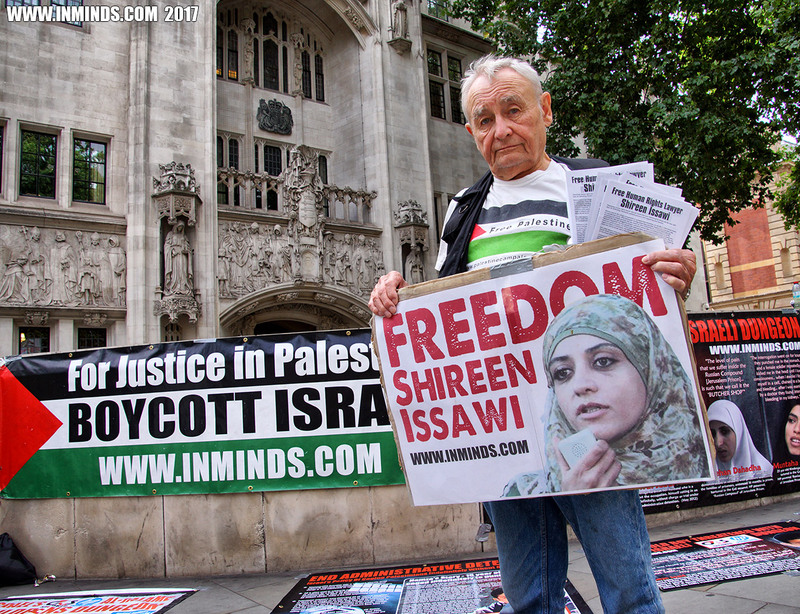 At the end of the 6 months Israel just renewed his administrative order for another six month. 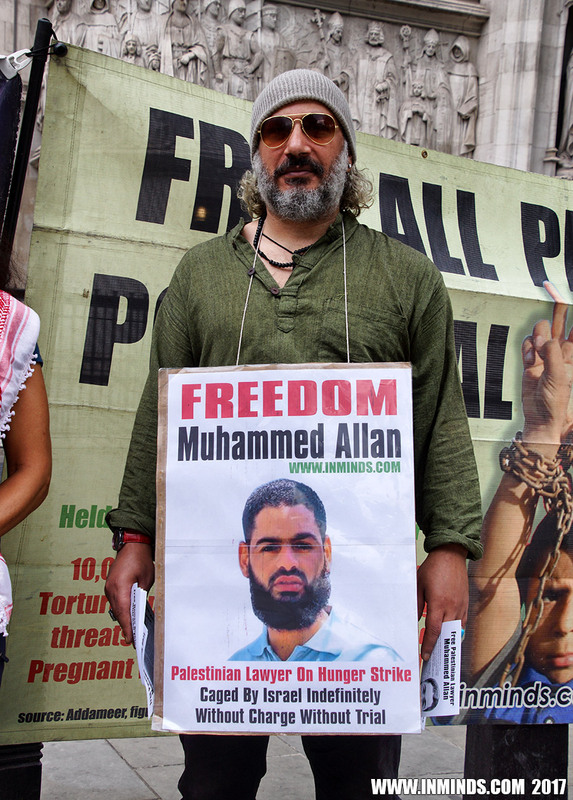 To protest, Mohammed Allan went on hunger strike. 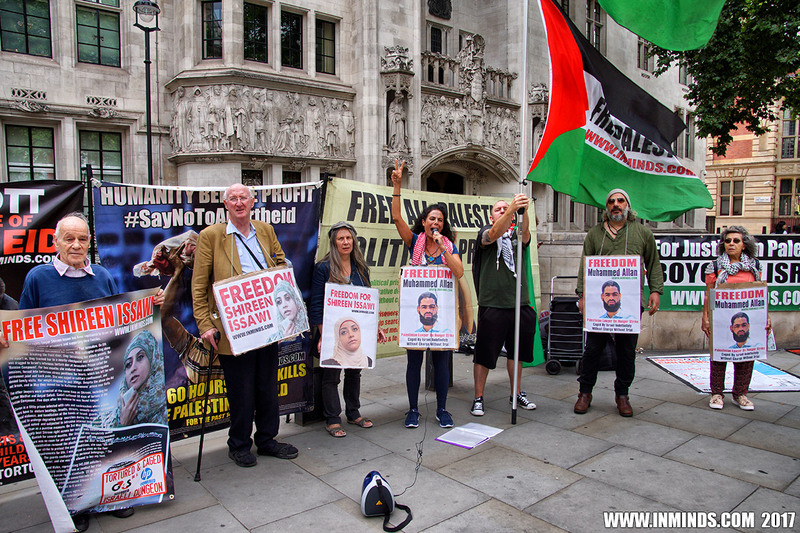 Both the Brussels based International Association Of Democratic Lawyers, and the National Lawyers Guild in the Unites States urged Israel to release Muhammed Allan. 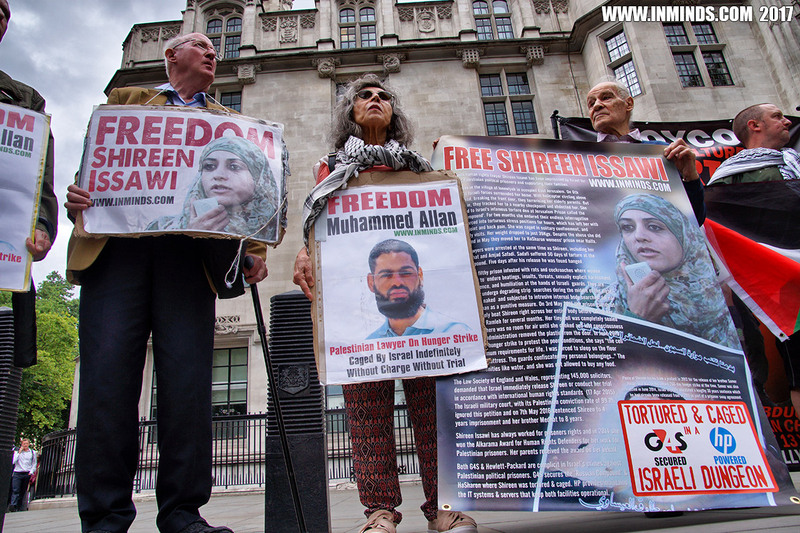 Israel ignored their requests and it took Muhammed 66 days of hunger strike to finally win his freedom in November 2015. 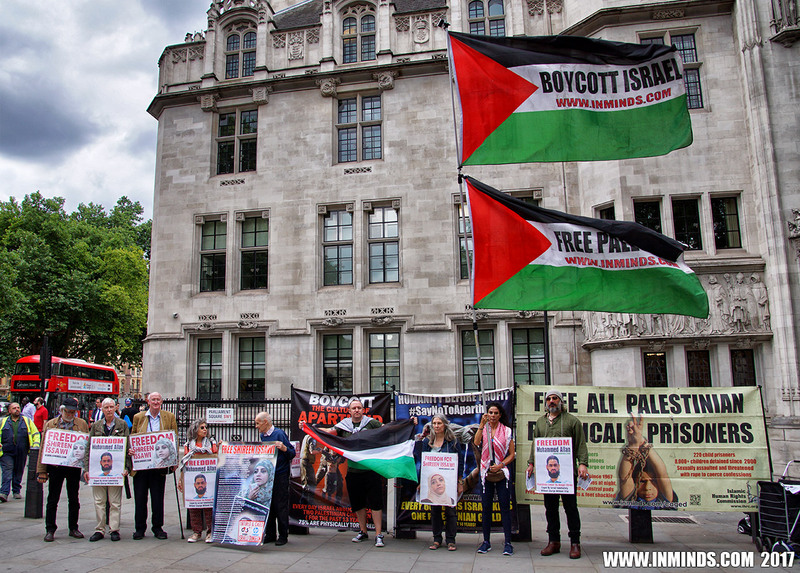 Many Palestinians are caged without the formality of a charge, let alone a trial, or even a set length of sentence - people are just locked up indefinitely on the whim of the occupation under what is called administrative detention – a vile form of internment. 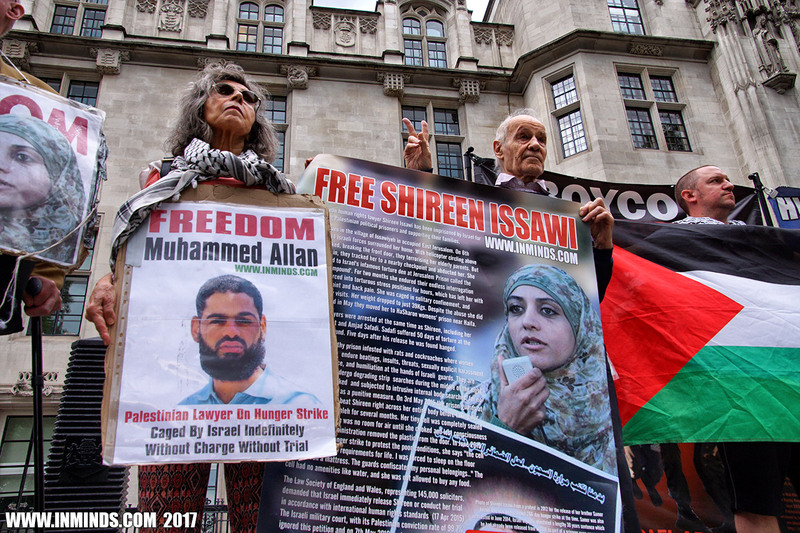 Administrative detention orders can be up to 6 months long, and can be renewed indefinitely.. month after month.. year after year. 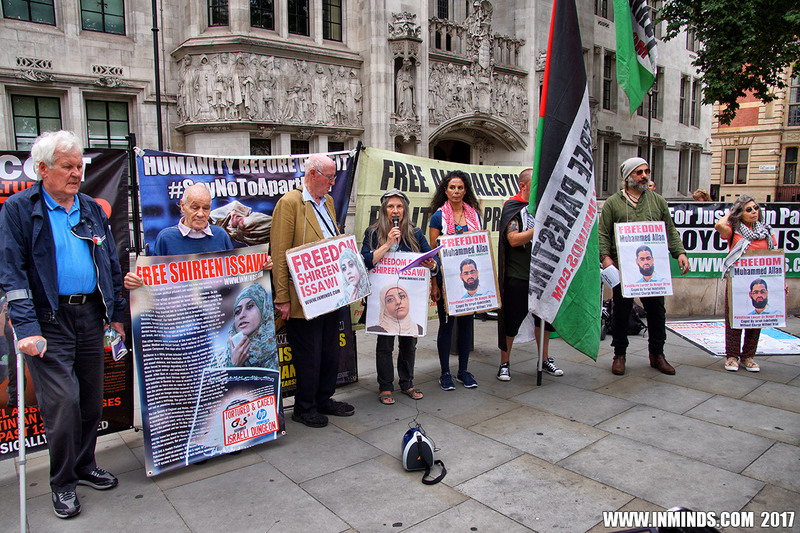 For example administrative detainee Mazen Natsheh has been locked up cumulatively for nearly 10 years without charge or trial. 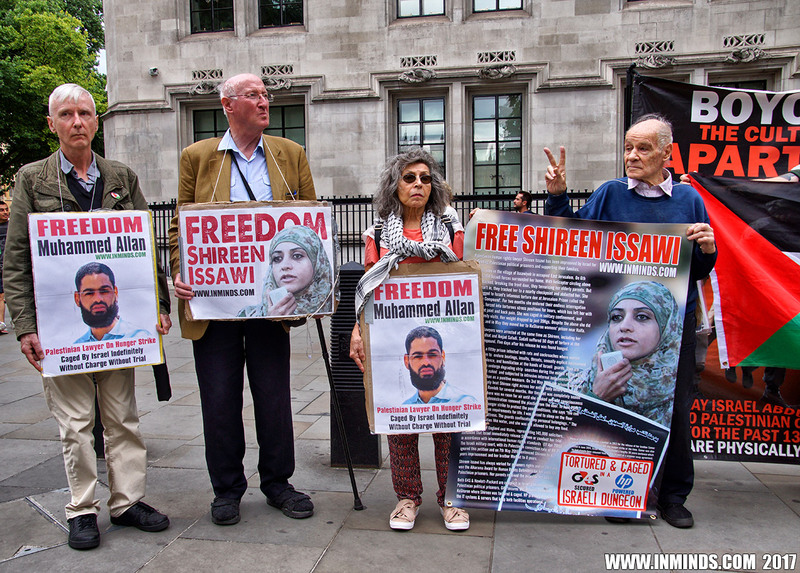 Detention orders can be based on so called "secret information" which never needs to be produced, either to the detainee nor their lawyer, but often Administrative Detention is used to arbitrarily jail Palestinians where there is no evidence for a trial, or as punishment. 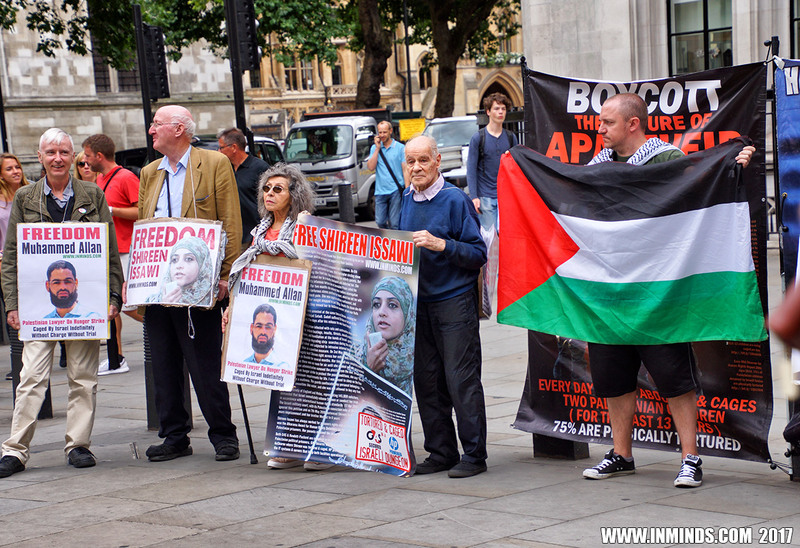 Israel has on average issued over 2000 detention orders every year. 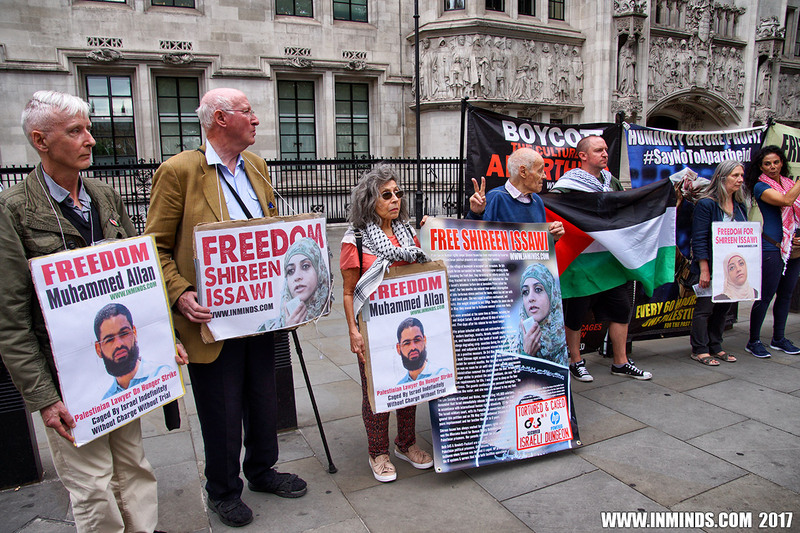 Today over 500 Palestinians are held under Administrative Detention orders. 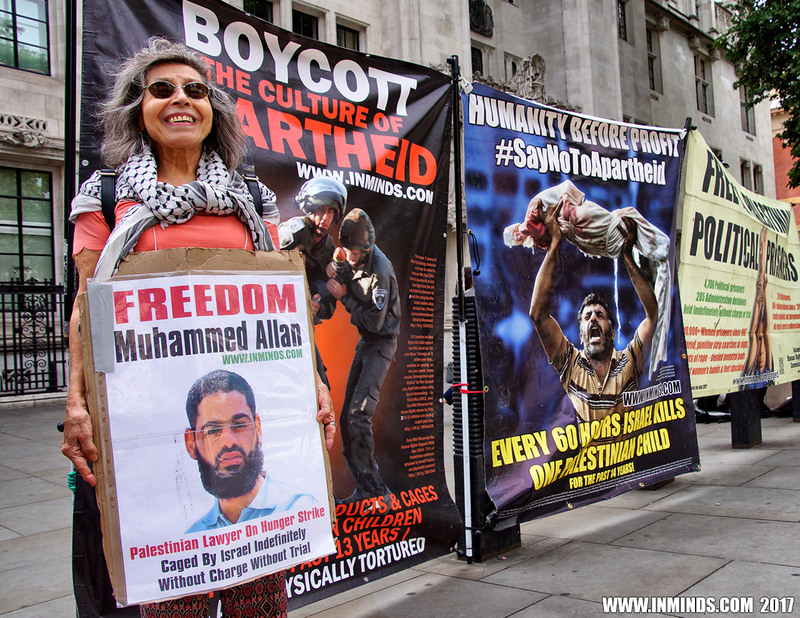 The United Nations Human Rights Office has on many occasions condemned Israels practice of administrative detention, demanding Israel end it, pointing out that it violates the International Covenant on Civil and Political Rights which Israel has ratified.